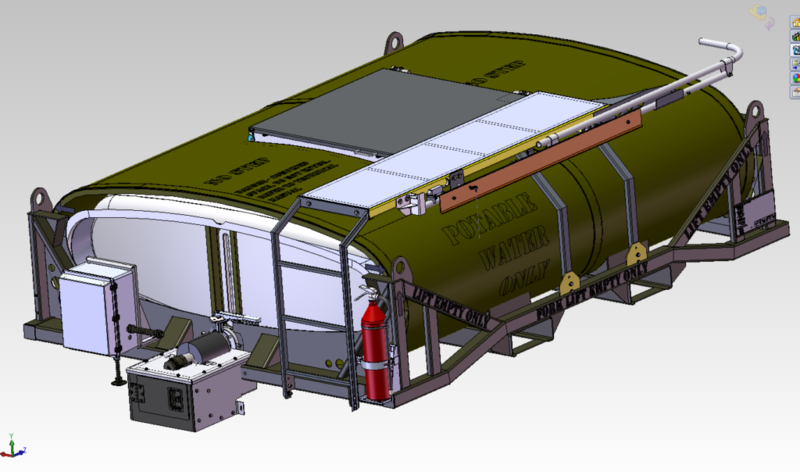 The CAMEL II Water Pod is our 800-gallon water tank in an insulated, jacketed, baffled, and integrated freeze protection with all hoses and fittings necessary to dispense potable water mated to our M1095 trailer. 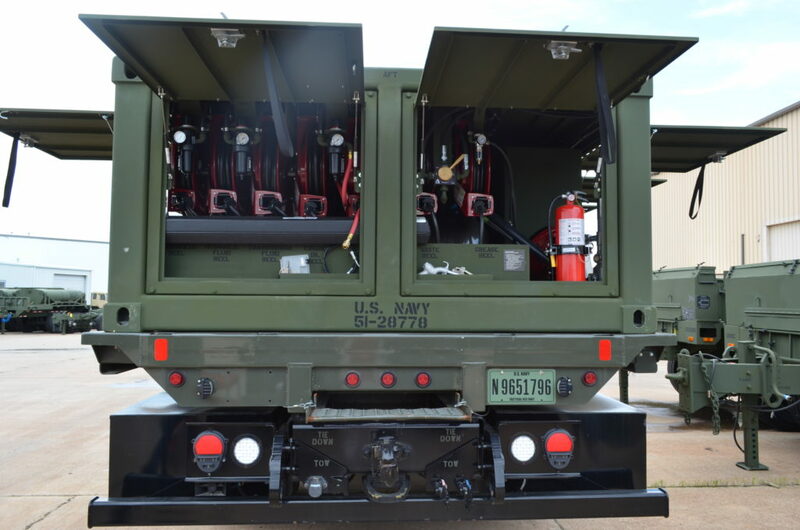 The Camel II Water Pod is the U.S. Army’s primary water distribution system, used by units at all echelons throughout the battlefield and replacing the M107, M109 and M1112 series 400-gallon water trailers (Water Buffalo). The CAMEL II is operational from -25 to 120 degrees Fahrenheit. It also contains six filling positions for canteens and 5 gallon water cans. 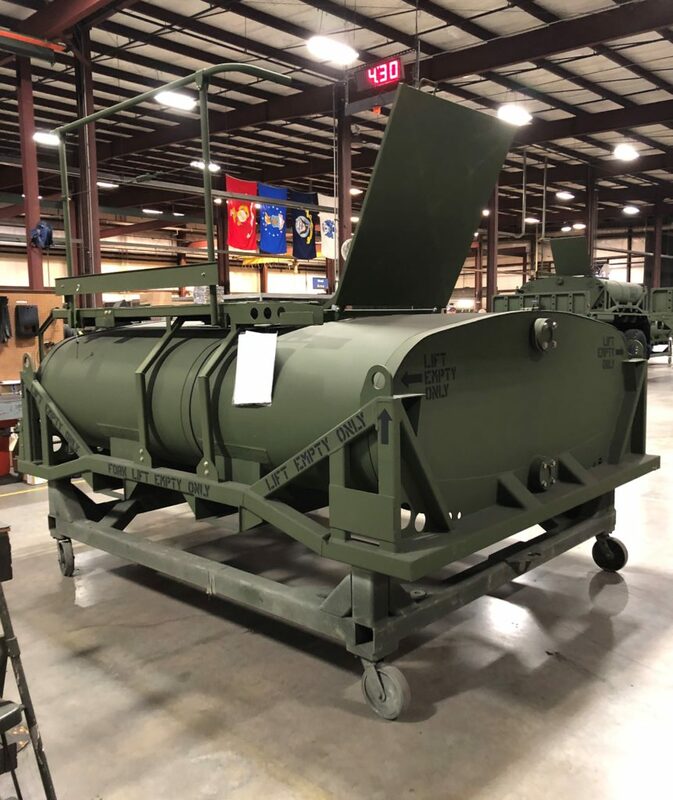 Under a $1.9 million government contract for the U.S. Navy Seabees, Choctaw Defense provided in-house design, engineering, fabrication, testing, and delivery of special manufactured, Field Service Body (FSB) units. 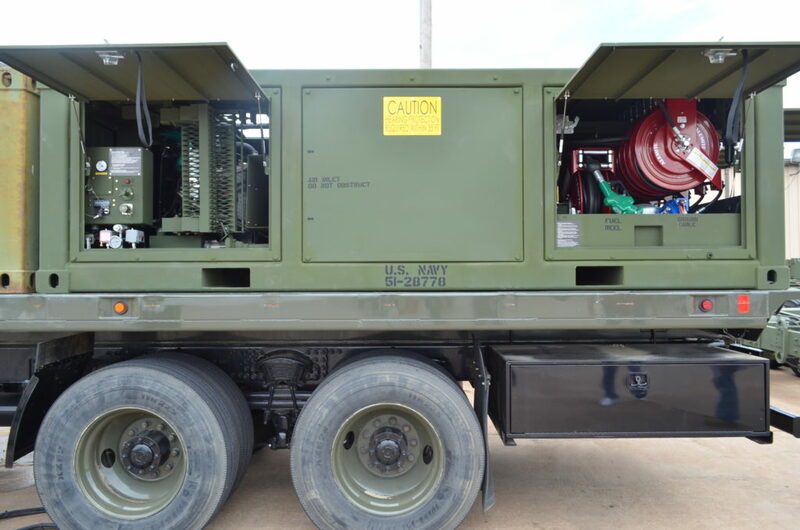 These FSB units are designed for military requirements and are mountable to an M915A3 military stake bed truck. 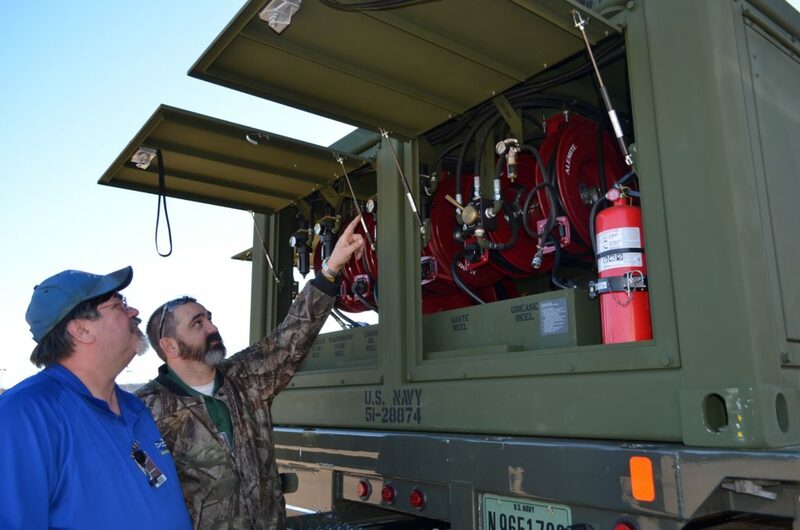 This effort for the Navy also included logistics support, training, and program management requirements. 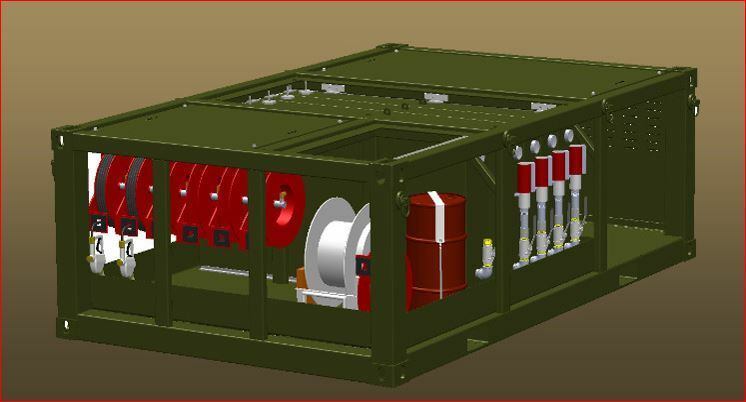 This FSB “Lube Skid” provides fuel, oils, lubricants, compressed air, waste oil tank and storage of hand tools required to maintain the power generation units. 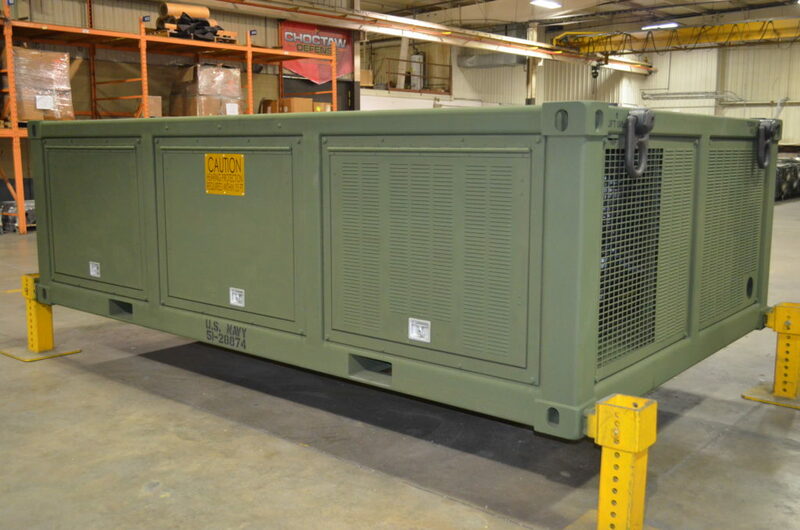 Due to NEMSCOM world-wide operational commitments, these units meet military transportability requirements and ease of setup without additional material handling equipment (MHE). The FSB attached to the M915A3 will be transported through military conveyance, by train, air, and sea.